The playground at Maggie Daley Park. 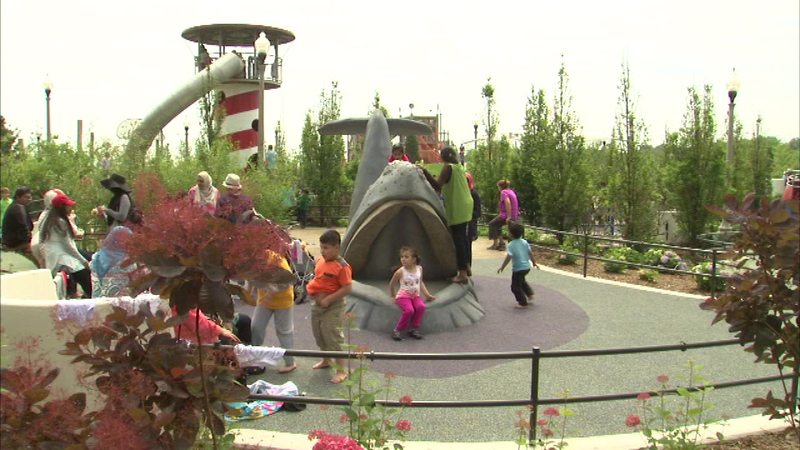 CHICAGO (WLS) -- Some popular attractions at Maggie Daley Park are now open for the season. Both rock climbing walls are ready to be scaled. They feature a maximum height of 40 feet, and there are both beginner and advanced walls offering three types of climbing. And for the first time, this year visitors will be able to rent rollerblades to skate around the ribbon that surrounds the climbing walls. Rentals begin on Wednesday. For more information about the climbing walls and pricing, click here.